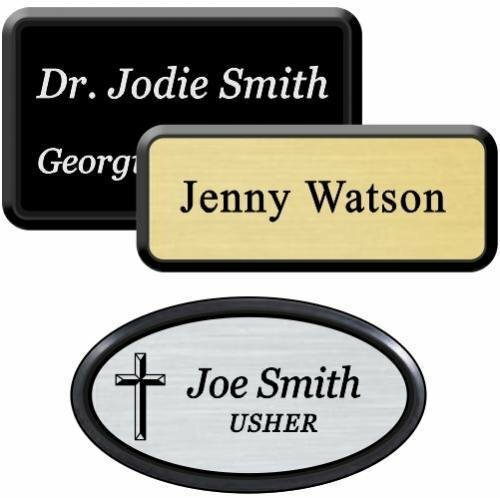 This collection of name badges and name tags come with a variety of finishes and attachments. 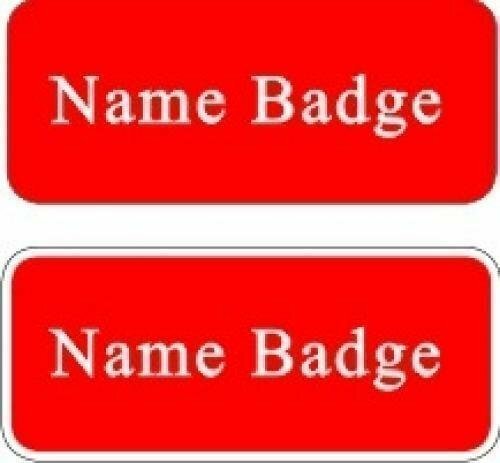 Engraved name badges are great for corporate events and trade shows. 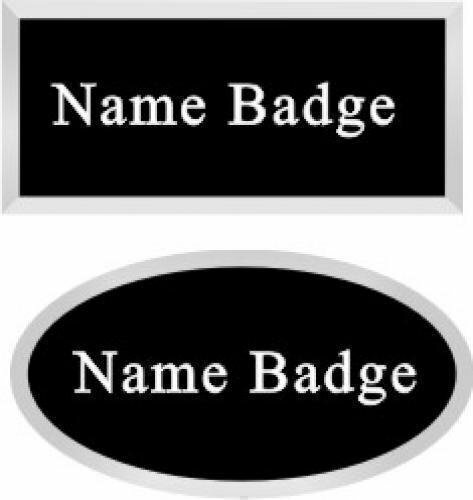 Let your potential clients know who you are with an engraved name tag. 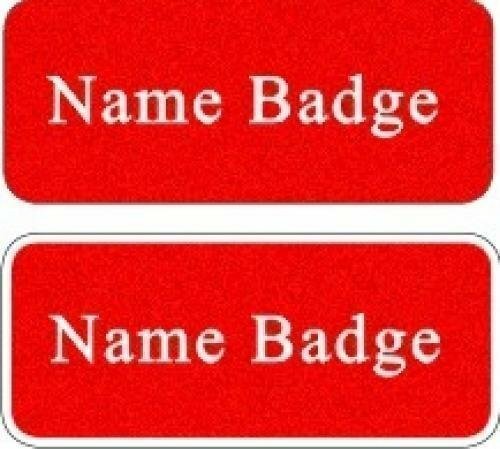 Name badges are also great for school employees and civic club members. Free Engraving is included. This name badge has a smooth surface, rounded corners and a wide variety of color choices. It is normally produced with a very strong magnetic backing. However, magnetic backings should NOT be used by people with pacemakers. There are several other attachment choices available. 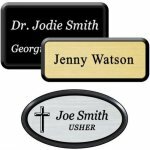 The Engraved Name Badge with Black Frame has a smooth plastic name badge presented in a Black beveled plastic frame. It is normally produced with a very strong magnetic backing. However, magnetic backings should NOT be used by people with pacemakers. There are several other attachment choices available. 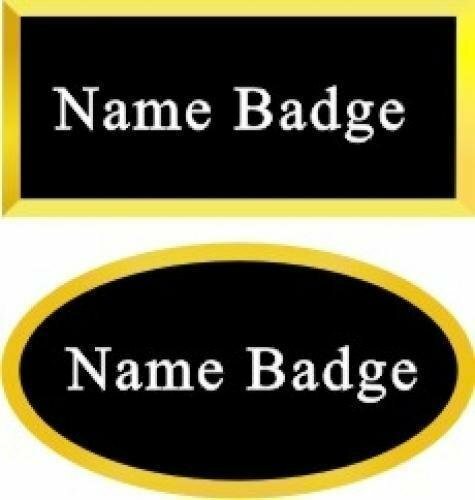 The Engraved Name Badge with Gold Frame has a smooth plastic name badge presented in a Gold beveled plastic frame. It is normally produced with a very strong magnetic backing. However, magnetic backings should NOT be used by people with pacemakers. There are several other attachment choices available. The Engraved Name Badge with Silver Frame has a smooth plastic name badge presented in a Silver beveled plastic frame. It is normally produced with a very strong magnetic backing. However, magnetic backings should NOT be used by people with pacemakers. There are several other attachment choices available. This name badge has a Scratch Resistant Textured surface, rounded corners and a wide variety of color choices. It is normally produced with a very strong magnetic backing. However, magnetic backings should NOT be used by people with pacemakers. There are several other attachment choices available.